Welcome to our Clear Bag Shop! Many stadiums, airports and work places are adopting clear bag polices to increase safety, improve efficiency and/or reduce theft. 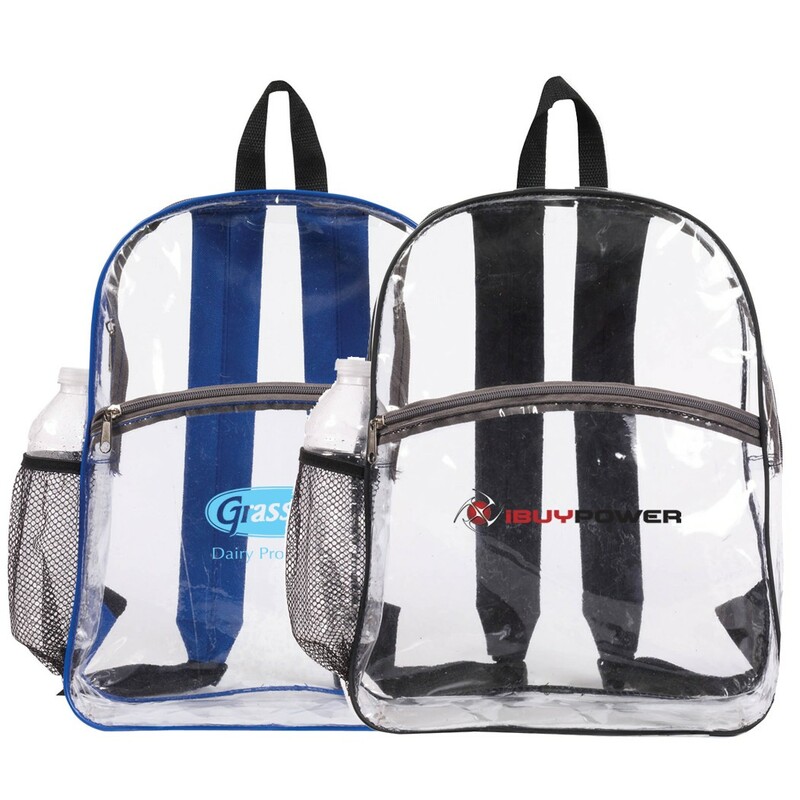 If you are tasked with finding wholesale transparent bags to imprint with your logo check out our selection! 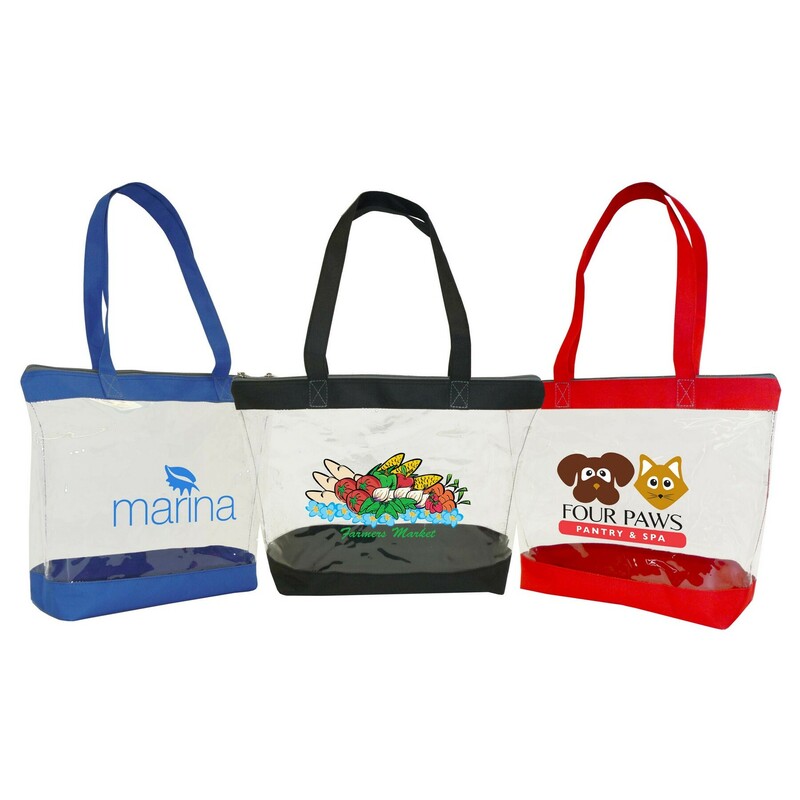 Versatile, attractive and top quality clear totes, bags, and pouches for your promotion. 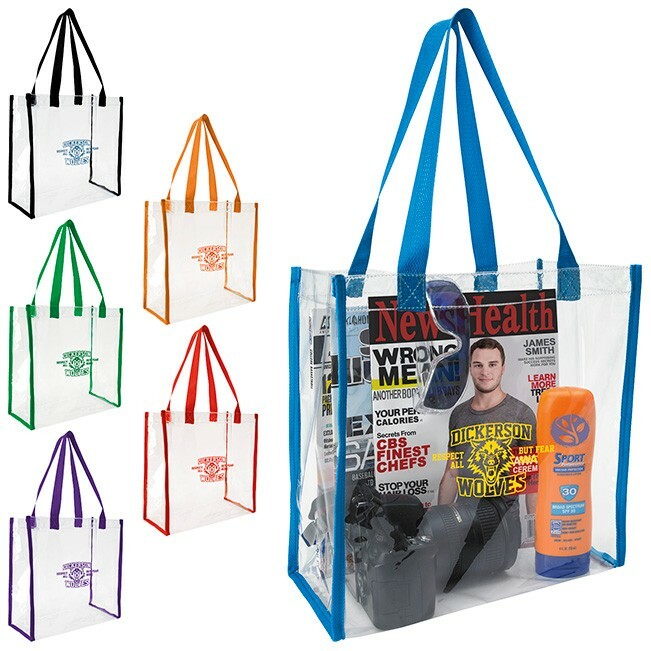 Check out our video for more ideas on how printed clear bags can make a great promotion! All NFL football and NCAA college stadiums have adopted a clear bag policy. Giving fans a clear bag with your logo before they head off to the game will help them abide by the policies and spread awareness of your logo to the masses. We have a selection of custom printed bags that abide by the new policies, so all you have to do is pick your favorite and send over your logo! Although it is not a requirement, putting your liquid toiletries in a clear bag will speed up the TSA screening process. 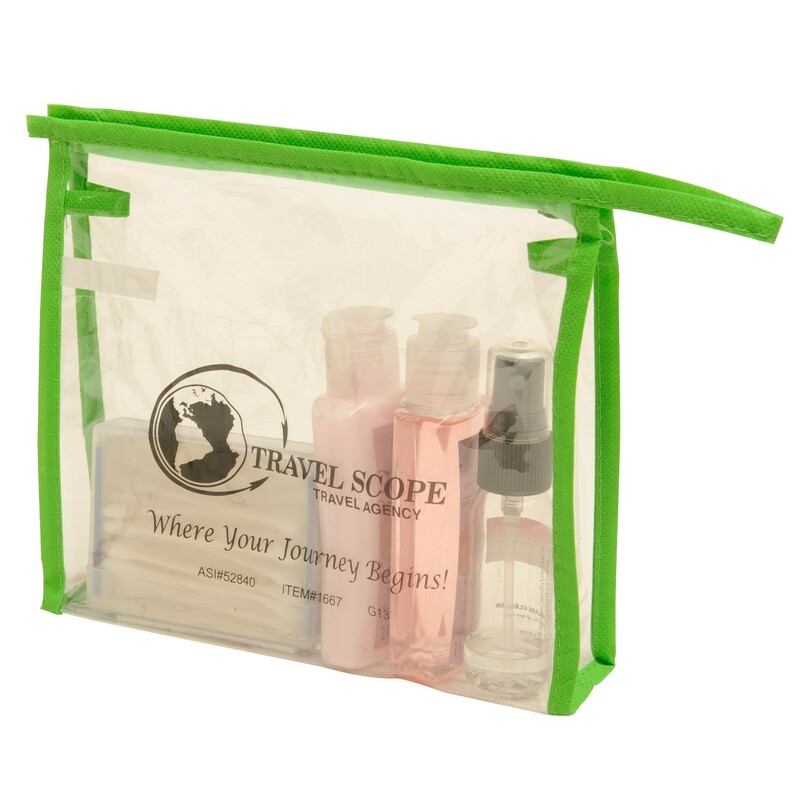 A clear cosmetic bag with a custom logo would make a great gift for clients who frequently book with a travel agency or for tour groups who are about to go on an excursion. 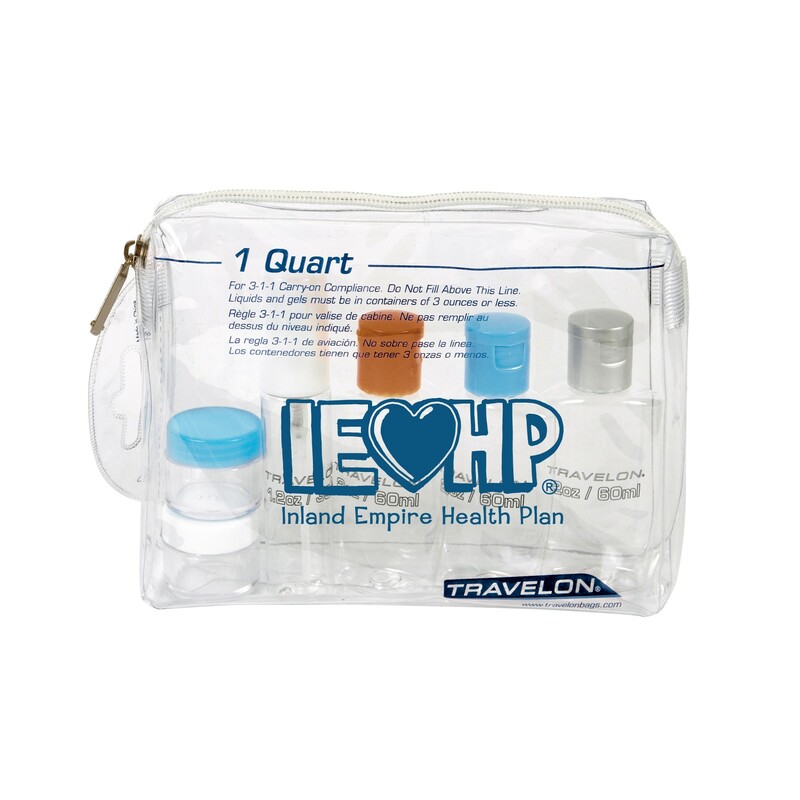 We have a wide variety of quart-sized clear bags that will help your group pass through TSA in no time! Many schools are adapting a 'clear backpack' policy to increase security measures on campus. 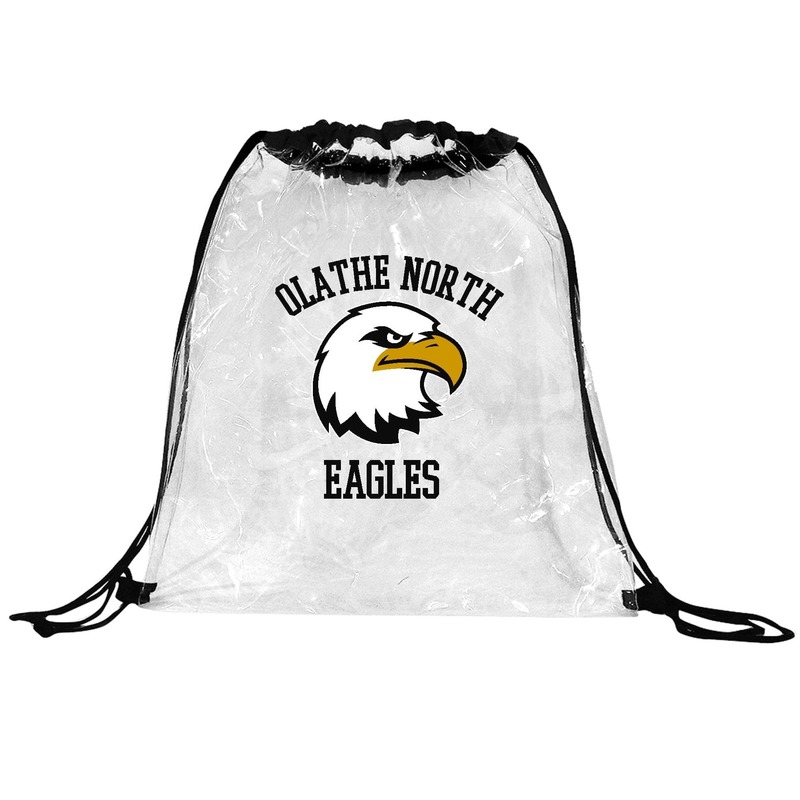 While it is a controversial topic, we think: if you have to do it, at least bring some school spirit into it with a custom printed clear backpack or logo'd drawstring bag! 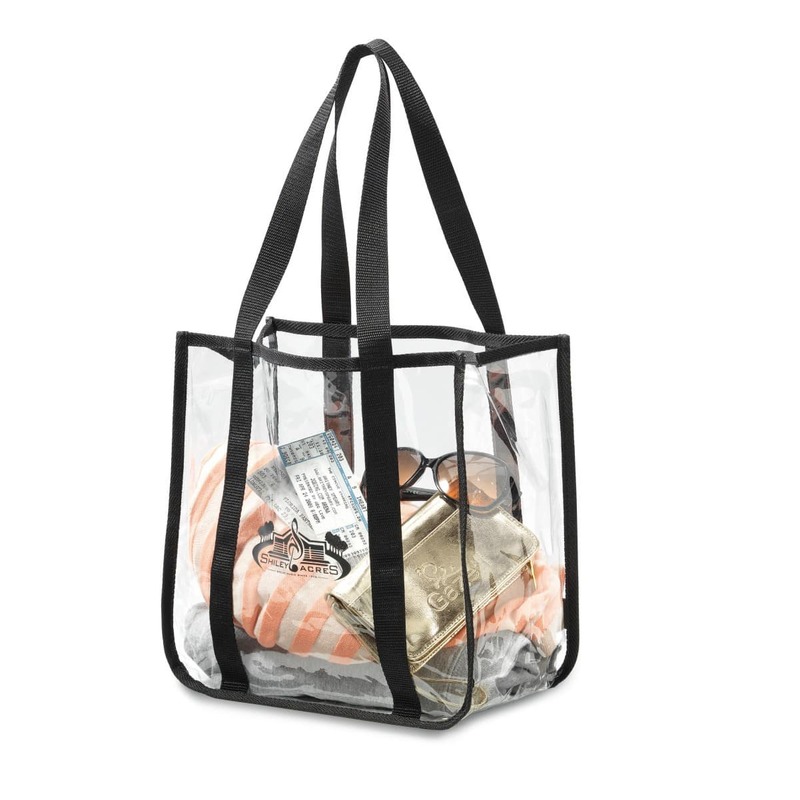 Some retail and security employees are required to bring clear lunch bags or totes for their personal belongings to reduce theft in the workplace. The size, style, shape and color are all dependent on the company, but no matter what the rules are – we have the perfect bag for you. Human Resources departments should consider giving a custom printed bag with the company logo to new employees so they can save their money and time. Who needs a clear bag? People who are entering a football stadium, traveling, or have a job that requires them to bring a clear bag to work. 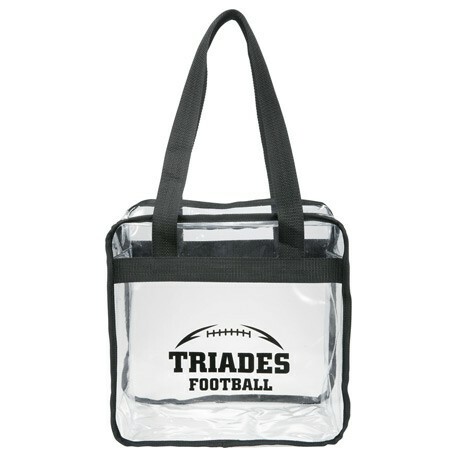 Travel agencies, universities, bookstores, tour groups, or any company participating in a festival or tailgate should consider having a custom printed clear bag with their logo as a giveaway. People will carry around the custom bag so they don’t have to buy their own – and maybe even get asked where they got the bag! Why give away a clear bag with a printed logo as a promotional giveaway? Custom clear bags are inexpensive and extremely useful to people who need to abide by clear bag policies. Imagine you are a football fan about to go to a huge game: You don’t want to spend money on a tote you will only use a couple of times. Wouldn’t you gladly put your things in a logo’d tote? Our thoughts exactly! Your message gets branded to thousands of other people in the stadium and the football fan gets to save money and time. It's a win-win!